Infect is an aggro-combo deck which utilizes the Infect mechanic to win the game quickly. The objective is to give the opponent 10 poison counters. Pump spells are central to the deck, and go hand in hand with Infect creatures. A 1/1 Infect creature that gets +4/+4 deals 5 poison damage, bringing you halfway to victory with just two cards. The blistering pace of Infect allows you to ignore the card disadvantage associated with pump spells. The first Infect deck to make it big was Kelvin Chew’s UG version with cantrips like Serum Visions and Sleight of Hand. Today, UG remains the color combination of choice, although the cantrips and Ichorclaw Myrs have been replaced by better pump spells. This primer will focus on the UG version. 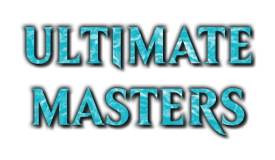 Sultai is a close second, having put up many results during the end of 2012. The black splash allows you to play another evasive Infect creature (Plague Stinger), and expands your sideboard options. BG is a rare sight, but it has T8ed a MTGO PTQ. It is a meta option; if you expect a lot of players leaning on Lightning Bolt or Path to Exile as their removal, Phyrexian Crusader is immune to both. If there aren’t many flying creatures being played, then Plague Stinger is almost as good as Blighted Agent. 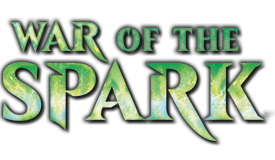 Mono-green is the version that players build when they’re on a budget or en route to upgrading to full-powered Infect. Against a combo or control opponent with few blockers the difference can hardly be felt, but against all other opponents, one will appreciate the unblockability on Blighted Agent and Distortion Strike. Mono-black plays completely differently from all other Infect builds. It has no pump spells at all, instead relying on discard to clear the opponent’s hand and Phyrexian Crusader and Phyrexian Vatmother to finish off. For the most part it is a worse version of 8Rack (more expensive wincons), which is in turn a worse version of Lantern Control. Attackers - These are the creatures you attack and win with. I have chosen to include the support (i.e. non-Infect) creatures in other sections. 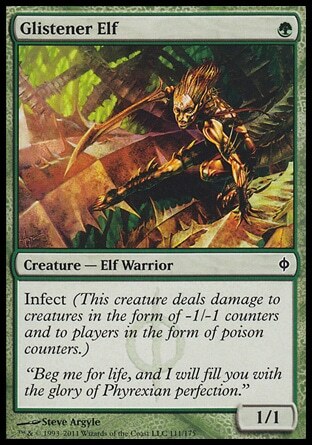 Glistener Elf: The basic Infect creature. It has no other abilities, but its 1 CMC means it can be played on the very first turn. The faster you get your creatures out, the faster you can start swinging, and the less resistance you will face. Blighted Agent: The next best Infect creature. 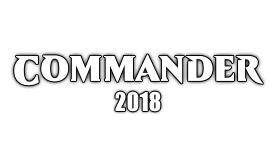 Its CMC is 2, so it’s a little slower than the Elf. Unlike the Elf, it is unblockable, which is a huge plus, as you only need to worry about removal and not opposing creatures. Inkmoth Nexus: The Infect manland. It is safe from Abrupt Decay and sorcery-speed removal. Its 1 activation cost suits Infect’s low curve well. Plague Stinger: Similar to Blighted Agent, this is a 2 CMC Infect creature with evasion. The difference here is that Plague Stinger’s evasion is in the form of flying, so creatures like Vendilion Clique or Spirit tokens will be able to block it. Ichorclaw Myr: If you’re not splashing black, play this to round out your attackers. Necropede: If you’re not splashing black OR blue...you need this for the redundancy. There’s no other reason to play it. Blight Mamba: Generally worse than Necropede, which says a lot. Its ability is reactive and requires you to hold up mana for it. Phyrexian Crusader: A useful tech card against Jeskai. It is immune to Lightning Bolt, Lightning Helix, Electrolyze, and Path to Exile – the cards which form Jeskai’s removal suite. However, it requires double black, which can be hard to cough up as only Overgrown Tomb generates black mana. Carrion Call: This card generates two attackers at instant speed, but is let down by a casting cost of 4. Possible sideboard choice if you have nothing else. Pumps - These are the cards that increase your creatures’ power. Might of Old Krosa: One of two +4/+4 effects for 1 mana. The raw power of this card outweighs the restriction that you have to use it during your main phase for a larger boost. It’s worth remembering that you do not have to play Might of Old Krosa at sorcery speed to get the extra boost. You can play it in response to another spell, but as long as it happens during your main phase, you still get the extra boost. Groundswell: The other +4/+4 effect, and a very good reason for playing 8 fetches. Keep in mind that you can keep a land in hand or an uncracked fetch to turn any topdecked Groundswells live. Become Immense: The latest addition to the deck. It is extremely efficient - if you count a +4/+4 pump as being worth one card, then Become Immense is worth 1.5 cards, a big deal in a deck that has no form of actual card advantage. The large number of instants and fetchlands help feed Become Immense. Mutagenic Growth: A 0-mana +2/+2 effect. While the pump is a bit small, the fact that it costs 0 mana can shave a full turn off the kill. You can play this against small toughness-based removal like Electrolyze or Pyroclasm even if you’re tapped out. Rancor: This card grants both +2 power and trample. Trample helps force damage through chump blockers, and combined with a pump spell, your creatures will live to tell the tale. 1) Rancor falls off Inkmoth Nexus when it stops being a creature. You put Rancor back into your hand. 2) If Rancor loses its target (most often because the creature was killed in response to the enchant), it is put into your graveyard from the stack and you don’t get to return it to your hand. Noble Hierarch: A 1-mana creature with Exalted. The seemingly insignificant +1/+1 boost can actually shorten the game by an entire turn – an unchecked 1/1 attacker with two +4/+4 effects only deals 9 damage, but with an Exalted boost, it ends the game in one hit. It also taps for mana, allowing you to make plays which require 2-3 mana in one turn while you’re on 1-2 lands, such as T2 Blighted Agent + protection spell. A Game 1, turn 1 Noble Hierarch off Forest does not give your opponent sufficient information to infer your choice of deck. If he hastily Bolts it, that’s one less removal spell he has to use on your actual threats. Pendelhaven: An upgrade to basic Forests. Rather than ask “why play this?” it’s better to ask “why not?” Every Infect creature you have starts out as a legal target for it, and it doesn’t cost you a card to use. Don’t play too many copies; it’s a legendary land, and you still need some basic Forests to search for with your fetches. Protection and Evasion - These cards protect your creatures from removal, or let your creatures get past blockers. 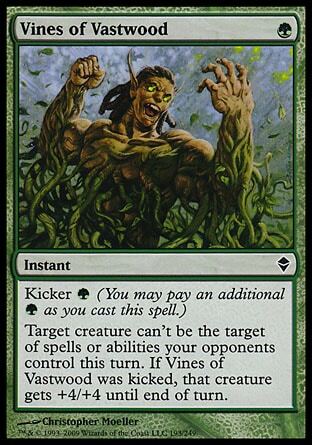 Vines of Vastwood: The unkicked version merely grants pseudo-hexproof, but the kicked one tacks on a +4/+4 boost. Early on, this neutralizes one removal spell, while later, it can pump your creatures for lethal. One trick you can do is cast Vines on an opponent’s creature in order to cause an enemy buff (for example, Restoration Angel or Kiki-Jiki, Mirror Breaker) targeting it to fizzle. This works because Vines does not grant hexproof. 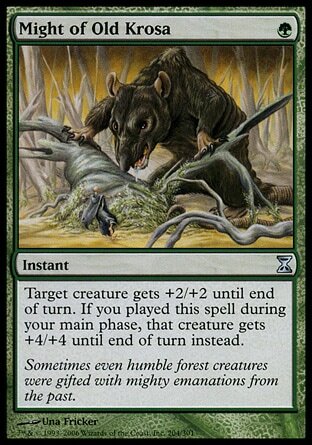 Vines states “Target creature can't be the target of spells or abilities your opponents control this turn” – in this case “your opponent” refers to the Kiki player, so it reads “Target creature can't be the target of spells or abilities the Kiki player controls this turn”. Blossoming Defense: It's sort of like a Vines of Vastwood which you can't kick, but it gives you +2/+2 straight up. You can't do the Vines fizzle trick with Defense unlike Vines, but Defense can't be redirected by Spellskite since it says “target creature you control”. Distortion Strike: This card upgrades Glistener Elf into Blighted Agent (with one more power) for two turns. If undisrupted, this represents 4 unblockable Infect damage. All it takes is a single Become Immense or two pump spells for that to become lethal. It's a good card to pair with Wild Defiance, since both the regular casting and rebound will trigger it. If Distortion Strike is countered (which includes “countered on resolution”, aka fizzling), you do not get to apply rebound. Apostle’s Blessing: A great deal for 1 mana (and 2 life). It causes removal to fizzle, and lets the targeted creature attack past blockers. This protection also extends to artifacts, so you can use it to attack unblocked against Affinity. As it costs colorless mana, it can be casted off Inkmoth Nexus. Like Blossoming Defense, Apostle’s Blessing cannot be redirected by an opposing Spellskite. Spellskite: Spellskite provides a way to draw removal away from your attackers. It is also excellent against the mirror or Bogles, since it can draw boosts towards itself. It can blank Arcbound Ravager’s death trigger, as you can redirect the counters onto Spellskite. Remember, Spellskite cannot retarget effects from your opponent that say “you control”. Dryad Arbor: Dryad Arbor provides defense against Liliana of the Veil. When Liliana’s -2 is activated, they can crack a fetch in response and tutor Dryad Arbor, sacrificing it and keeping their attackers safe. If you play Dryad Arbor, count it as a spell instead of a land. Most sideboard cards cost 1 mana as a nod to how constrained Infect can be on mana. Those that cost more usually trade 2-for-1 or better. These cards double as protection for your creatures while also disrupting enemy combos. Removal has two functions: to get rid of blockers, and to get rid of permanents keeping you from winning (such as Spellskite and Melira, Sylvok Outcast). It may seem odd to list Twisted Image as a removal spell, but it kills any creature with 0 power, such as Spellskite, Noble Hierarch, Birds of Paradise, Ornithopter, and Signal Pest. If you play Wild Defiance, you can use it on your own creatures to get the trigger and draw a card. 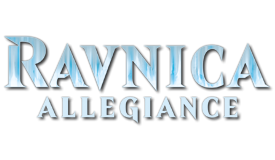 Affinity is a popular deck, and will always be played at events. It makes sense to have some countermeasures for it. Artifact hate also gives you outs against Spellskite. Nature’s Claim is a very efficient card, as Infect does not care about the opponent’s life total. It can destroy enchantments like Pyromancer Ascension too. Dissenter’s Deliverance and Viridian Corrupter can remove a Chalice of the Void with one charge counter on it. These cards punish your opponent for using spot removal on your creatures. Wild Defiance also boosts your own pump spells, and combos with 2 Spellskites and any targeting spell for huge damage (more on this in the Technical Play section). Grafdigger's Cage is your main form of grave hate. Unlike Relic of Progenitus, it doesn't exile your own graveyard, so you can still delve for Become Immense. It's also good against Collected Company/Chord of Calling decks since it stops both of those cards. These cards are mainly for the Burn matchup. Kitchen Finks often trades 3-for-1, gaining enough life to blank a burn spell, and blocking/eating removal spells twice. Pulse of Murasa also comes in against removal-heavy matchups as a Raise Dead with lifegain. Mana - These cards let you cast all your other cards. Infect relies heavily upon green mana for its pump spells and a turn 1 Glistener Elf. Thus, the fetches you’ll need are the Forest-fetching ones. You don’t need basic Islands; Breeding Pool and Noble Hierarch are sufficient. You'll want at least 8 fetches for Groundswell or Become Immense. The remaining slots can be filled with 1 more fetchland, Dryad Arbor, and/or Forest/Breeding Pool. More basic Forests means it’s less likely you’ll be left without without compensation after being hit by Path to Exile, Assassin’s Trophy, or Field of Ruin. Remember the three things you need to win: Infect creatures, pump spells and protection. Ideally, your opening hand will contain 2 lands, 1-2 Infect creatures, 2-3 pump spells and 0-1 protection cards. Your opening hand MUST have an Infect creature in it. If it doesn’t, ship it. Inkmoth Nexus counts, but in that case you also want Noble Hierarch. A hand of Noble Hierarch and Wild Defiance can count, loosely - the Wild Defiance will pump your Hierarch and you can conceivably win with regular damage. Pump spells are also vital, though it’s very rare to have a hand with absolutely no pumps because there are so many in the deck. If you are lacking in pump spells but the rest of the hand is good, keep it – it’s likely that you’ll just draw into more pumps. Protection is not extremely necessary as your opponent could be playing a deck without removal (e.g. combo), or he could not draw his removal on time, or you have a second Infect creature to keep the pressure up if the first one dies. It’s useful if your plan is to lead T1 Noble Hierarch into T2 Blighted Agent. You can afford to fetch untapped shocks liberally. You’re fast enough that if your opponent tries to race you, you should come out ahead. Also, against opponents with Path to Exile, Assassin’s Trophy or Field of Ruin, not fetching basic Forests means you’ll have basics to grab when they hit. If your opening hand consists of just Glistener Elf and green spells, don’t be afraid to fetch for a Breeding Pool. This is so that you can cast Blighted Agent/Distortion Strike if you topdeck it. Fetch based on what’s in your deck, not just what’s in your hand. If you have a spare fetchland lying around with no spells to cast off it for the time being, think twice before cracking it. Leave it there to turn on future Groundswells. ”Should I pump now or later?” Usually, the answer is “now”. As the game progresses, it will get a lot harder for your creatures to connect because your opponent will draw kill spells or blockers. Whenever you can cast a pump spell with no risk, do it. The exception is when playing against Melira, where you should save them for a one-hit kill (see section 4 below). This also applies to playing pumps over creatures. If you have a turn 1 Glistener Elf which gets to attack unblocked on turn 2, cast 1 or 2 pump spells on it instead of a second main phase Agent/Stinger. If you only have enough mana for one pump spell on turn 2 and have the choice of +4+/4 until EOT or Rancor, go with +4/+4. Turn 1: Noble Hierarch or Glistener Elf? Generally, you should play Hierarch first to test the waters. Losing Hierarch is bad, but presumably not as bad as losing Elf (which could leave you without a wincon). If Hierarch survives, you have a mana advantage. If you have two Elves in hand, losing the first isn’t such a big deal, so leading with Elf is sensible. Turn 2: Inkmoth Nexus or Some Other Land? The case for playing Inkmoth is, if your T1/T2 Infect creature dies, you can animate Inkmoth on T3 and keep up the pressure. The case against is, if your Infect creature lives, then a green source is better because you can cast pumps with it. Most of the time, it’s better to play Inkmoth on T2. A detailed analysis is below. Note that each case can only arise if you have 2 green sources and a Nexus: you play a green source on T1, then make a decision between a second green source and Nexus on T2. This means that you have a guaranteed T3 land drop, and the analyses will take that into account. In any case, if you have Apostle’s Blessing in hand, playing Inkmoth Nexus is a no-brainer. 1) Your T1 play was Glistener Elf. If you have two pump spells OR a pump spell and Vines/Defense, go ahead and play a green source. Note that two pumps can beat a single Lightning Bolt. 2) Your T1 play was Noble Hierarch, and you have a potential T3 kill (Blighted Agent and two +4/+4s). Play Nexus, using it and Hierarch to cast Blighted Agent, leaving your T1 land untapped for protection. If Agent survives, Hierarch and the T1 land are sufficient for the T3 kill. If Agent dies, play the green source, animate Nexus, and use your other two mana sources to cast the two pump spells for the win. 3) Your T1 play was tapped shockland (or a 1-drop which got killed), and you have a potential T3 kill (Agent, Mutagenic Growth and two +4/+4s). Unlike the T1 Hierarch case, you have to tap out for Agent, so you can’t hold Vines/Blessing mana up. Play Nexus; if Agent survives, then next turn you play the green source, drop all your pumps and win. If Agent dies, next turn you play the green source, animate Nexus and cast a +4/+4 on it. If you have an extra land and pump spell instead of Mutagenic Growth, it’s still a good idea to play Nexus on T2 instead of being greedy (T2 green source, T3 green source + 3 pump spells). 4) None of the above. Play Nexus; you’re not going to win before turn 4 anyway, so being able to cast more pump spells is moot. In general, try to avoid trades like attacking a 1/1 into a 1/1 or attacking into a bigger creature and pumping your guy. Infect has very little card advantage, so you have to make every card count. Wait until you draw into an evasive creature or Distortion Strike/Apostle’s Blessing/Rancor to force damage through instead. Be careful of flash creatures, e.g. Snapcaster Mage, Vendilion Clique, Restoration Angel ambushing your attacker. Clique is particularly troublesome as it can disrupt your hand. Lastly, remember Infect creatures deal their damage as -1/-1 counters to blockers. This is relevant against Kitchen Finks, and cards that your opponent can unexpectedly pump, like Death’s Shadow. You'll need one spell that targets, Wild Defiance, and two Spellskites to pull this off. Start by targeting Spellskite A with the spell and get the trigger. Before the spell resolves, use Spellskite B to change the target of the spell to itself. This gives you another trigger (Wild Defiance triggers on targeting, not casting). Repeat this with Spellskite A for 3 points of P/T per that you spend. With only one Spellskite you can't go infinite, but you can get one extra +3/+3 off. The Spellskite will be the final target of the spell though. You don't usually want to do that unless you're trying to win by regular damage instead of poison, since Spellskite doesn't have Infect. This deck is named Infect, but it's surprisingly feasible to win by regular, non-poison damage - especially with cards that can crank out a lot of P/T boosts for their cost, such as Become Immense and Wild Defiance. If your opponent is being a little too liberal with his life total (e.g. cracking untapped fetches), it's within your power to punish him for it. Dryad Arbor is a good inclusion, since you have 8 or 9 fetches to tutor for a creature which deals regular damage any time. 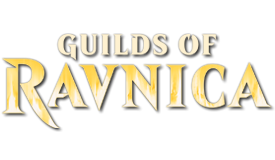 Here are some tips on what cards to take out when sideboarding. Distortion Strike, Rancor: Against decks that don’t have many blockers. Mutagenic Growth: Against decks which try to play a long game e.g. Jeskai. Mutagenic Growth is useful in short games since it costs 0 mana, but in longer games mana is less of an issue and you need more high-impact spells. Dryad Arbor: If you don’t need the surprise chump blocker. Your main deck may be “pre-boarded” with cards like Spellskite, Dismember, or Spell Pierce. If those cards aren’t useful in the matchup, move them into the sideboard. Infect performs extremely well against decks that don’t play any creatures within the first three turns. Most pure combo decks (such as Storm, Ad Nauseam) fall into this category, as do ramp decks like Tron or Titanshift. These decks spend their early turns playing cantrips or ramp spells to set up, making them easy pickings for an unopposed infect creature. While Infect has Apostle’s Blessing and Vines of Vastwood, if it doesn’t draw those against removal-heavy decks, it just loses. Even having them is usually not enough, as they simply trade one-for-one with opposing removal. For an aggressive deck, the more one-for-one trades you make without impacting your opponent’s life total (or, in this case, poison counter total), the worse off you are, because your late-game isn’t that good. A smart opponent will play removal during his turn instead of during the Infect player’s turn. By playing removal on his turn, the Infect player is forced to spend a card to save his creature, or lose it. Regardless of the choice he makes, the Infect player is down one card and the amount of pressure he has decreases. On the other hand, if the opponent uses removal on the Infect player’s turn instead, he can use a Blessing/Vines/pump spell (against toughness-based removal) and get in for some damage. In this case, the protection spell does double duty – it protects from removal AND pumps the targeted creature. Letting the Infect player squeeze out so much value won’t end well for his opponent. Most decks that play Snapcaster Mage and Lightning Bolt (such as Death’s Shadow) will have access to lots of removal, some of which may not be toughness-based (Path to Exile, Fatal Push). Burn switches into a control role against Infect, boarding in Searing Blood (in addition to maindeck Searing Blaze) and Grim Lavamancer. Lingering Souls is the most prominent example of this. A wall of Spirit tokens will block Glistener Elf and Inkmoth Nexus for days. You don’t have the cards to kill every creature in the way, so you’re reliant on drawing Blighted Agent, Distortion Strike, Apostle’s Blessing or Rancor to get through. Blessing is weaker than the other outs since it only grants unblockability for one turn, and falls apart of the blockers don’t share colors. Lone blockers can be handled with Dismember, and non-flying/reach blockers only stop Glistener Elf. This card was printed to hate out Infect. It also combos with Kitchen Finks and Viscera Seer for infinite life - this interaction has been a part of green toolbox decks in the past, but has since been supplanted by Devoted Druid + Vizier of Remedies (Vizier also comboing with Finks). Melira rarely sees play today, but it is useful to know how to play against her just in case. When playing against Melira, save your pump spells for a one-shot kill. You do not want to have all your hard work undone when you get them to 9 poison and they drop Melira. Also, play to your outs: if they play Melira and you don’t have removal for it, you just have to win by regular damage. When your opponent has Melira, an animated Inkmoth Nexus does not deal any combat damage (yes, not even regular, non-poison damage). Explanation here. Sweet. Infect was actually the first deck I ever played in a Modern Tourney, and it's still my favorite deck to utilize in such instances. Below is the current deck I'm running, and it's performed to at least 2-2 in 2 separate 4 round LGS Tournies. The reason I main~board the full complement of Dismembers is because I have no answer to the decks utilizing creatures, such as Melira, or Platinum Angel. If I can rid my opponents of those creatures, that leaves the path open for me to attempt to win ASAP. This is also the cheapest build I could make, forgoing cards such as the Hierarch, and fetchlands. Unfortunately, money is definitely an impediment to me, so I had to pick the cheapest, and most competitive version of this deck I could find. I've found it to be an incredible glass canon. When it wins, it wins, by no later than T3. Someone asked me in the other thread how It went my quarterfinal match vs Pod that i won. honestly i dont remember, im playing a lot and matches just blur with each other. I will say that that the 2 dismember main are to help on that match and that im inclined to declare the matchup pod favored. But if its so is on the lines of 6-4 or 5.5-4.5 to pod so it´s winnable, and i may just got lucky i don´t remember. The problem of the matchup is that he can go the GB plan and start removing everthing and then it becomes quite hard. But the deck is also filled with useless stuff vs you, mostly a lot of creatures you just do not care, you care about removal, spellkite and meliria, everthing else is quite irrelevant, so you can see how you can ¨easily¨ just draw better. How they sb also influence. If they bring on thoughtsize the matchup becomes more problematic. I do not only side in 4 dismember but 1 corrupter and 1 nature´s claim. Btw I will reverse the mamba change, it was more to ¨try it out¨ and at the end of the day, the fact it cost G is not worth it´s bonus. It has some good stuff , and in the righ tmetagame it may be better. Is better vs control decks that the game goes long probably better vs BG which is a bad matchup, but ultimately i prefer the consistency of colorless mana of necro. Bottomline i will go back to 4 necropede but I think mambas should be an option we consider everytime we tune the deck for a tournament. It maybe even wrong what im doing and maybe having some mambas is the right call. Btw, removing 2 rancors for 2 extra dismember as enigma does is totally a very worth to consider option imo. I see more and more spellskite maindeck in everykind of deck (which is the reason im using 2 maindeck) but really it starting to get annoying and 4 dismember may be the right call. If I had to venture a guess, I'd say people were tired of ponying up upwards of half a grand for a barely competitive Modern deck, and wished to make budget decks such as this one tougher. There still is a more expensive iteration of this deck, if one wishes to play it, the all black infect, however that deck isn't as prevalent, or as effective as this one, IMHO. Yeah, against Melira/Pod decks, artifact hate becomes quite relevant. If you find yourself unable to overcome them in the primary duel, then I'm all for boarding in additional copies o' Oxidize and Claim. In those cases, if they don't have a backup plan, following their infinite combo, you can even sideboard in additional artifact hate, white taking out pumps because if their entire strategy depends upon the infinite combo, if you take that away, you can deal the remainder of the poison counters without the aid of too many pumps. Especially since you'll be drawing into your artifact hate. This is, of course easier said than done. In practice, it's still tough, as the Melira/Pod decks run the backup of having a veritable armada of tough critters, Tarmogoyf included. True, I used to run the Mamba in place of the Necropede as well, however found that I'd rather reserve my Forests for pumps and the Elves instead. The regen mechanic is definitely admirable, but I feel it's simply a tad bit too on the slow side for it to be relevant within the confines o' this deck. 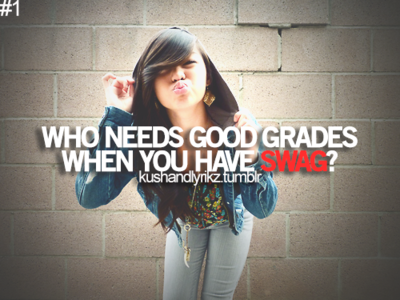 Absolutely. If you find you really need the Rancor more than you need the Dismember, than you can always rectify that for your next game, but I find that Dismember answers more problems than Rancor, so I need to draw into it more. Besides, in the games where Rancor becomes relevant, the games are usually so long that I draw into it later on anyway. Waterd I notice you ran Spellskite in your sideboard recently, how did you find it? Are you going to keep it in the side? For now i will keep them. I´m sad to say this to everyone that likes to play monogreen because it´s cheapness (at least on modo are 20 tix a piece) But they are great. And in fact i´ve been facing quite a bit of mirror, and of course they are also great there. They fit in so many matchups, and if it weren´t because I need those slots for dismemebers as the metagame goes, having 2 maindeck can be totally the right call. Basically it covers the roll I had for Guiles, they protect your creatures, it cost 1 more mana, an dit doesn´t give +1/+1 Which is completly a reason of why running guiles still have their advantages. But spellskite doesn´t require a green mana which is always great in this deck, and you have a lot more information when you are spellskite isn´t dead, so far in my experience you basically know you can commit to go for kill that turn a lot. Which is your dream. In fact I did beat a BG on one of the premiers on the back of spellskite, they not only have to kill it, and if they dont you know you have free open to go for the kill, they block which gives you time and you can sacrifice to liliana. I also did win a game vs UWR control...attacking with spellskite, I rancored it and with 3 cathedral i hit 2 times for the kill. In fact I kind of want to get them into maindeck, I just can´t find the space. Despite all this I wouldn´t say they are a must. But so far I´m really glad to have them on the sb. and they are knocking the door , at least 1 or 2 of the maindeck. I will say though in certain matchups I think I would prefer guile, for example vs UWR control. Since that matchup is a lot about mana advantage, and being able to go boom in a single turn, the extra mana of spellskite is worse, but in so many other matchups is better that is hard to justify the guie over the spellskite. Pricing: Currently, it's in the ~$18.00 price range, which is far too expensive for me to purchase, for a deck which is fairly cheap to build. Utility: Sure, the card and ability itself are great, but it's simply too slow and costly to mesh cohesively with my gameplan. Susceptibility to Removal: It's a wonderful card, but with all of the rampant artifact hate, it dies too quickly and easily for me to splurge both financially, and mana and lifely on it. But, that's not a knock on the card itself. I personally adore the card, and am quite enamored by both, its toughness and unique ability. I simply can't justify including it in my build. Lawn, in the other thread you gave out a expected metagame, with that expected metagame i would totally play Monoblack infect. 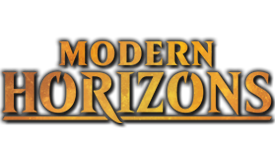 Im going to try the Mono Black Version you just suggested for my meta, which is filled with twin, uwr control, pod and affinity (basically the entire set of tier 1 decks I guess). Do you have an update on your version @Waterd? I'm gonna build it in the next few days and let you guys know how it went. It looks quite promising. I get that it's a bit high, and maybe this commentary is slightly off-topic, but I'd pick up a couple Spellskites just to have them. You can put it in just about any Modern deck and it'll improve a wide range of matchups. And even if you play it and it gets removed, at least you saved your Inkmoth/Necropede/Ichorclaw. It's not there to progress your clock. It's there to ensure that you have a clock. And it will straight up win games against decks like Burn/Bogles if they can't find an answer for it, and it's a pretty big advantage in the mirror. I just won an 8 man with Tom Ross's latest version. It seems pretty solid. I'm not sure about the dryad arbor, I always sided it out. Viridian Corrupter is interesting main deck. It's either really good or really bad. I think it's worth main decking for the time being. Being able to kill Spellkite with one of your threats just seems ridiculously strong. Is the Dryad Arbor for anything other than sac'ing to lily? Did you miss apostle's blessing at all? thats an interesting list, the part that intreges me is using the colorlessness of the artifact infectors for ancient stirrings, thats some serious dig power. more so i like the idea of having something that can dig for inkmoth nexus. in the black infect list it has me wondering if grisly salvage might have a similar use? at second glance why doesn't your list run 4 might of old krosa? turn 2 might of krosa, plus assualt strobe and done deal, 5/5 double strike. Hunt the hunter under didn't do anything for me, since I had inkmoth and blighted agent as my creatures in play. There are only 8 green creatures with infect in the deck, so hunt the hunter is really high variance. It works on your mana dorks and dryad arbor, but that seems like a waste off a card since it's sorcery speed. I think I want to diversify my sideboard a bit since I am main decking 4 anti affinity/pod cards. I think 3 dispels and 4 nature's claims is kind of a lot, so i'd cut 1 of each for other cards (dismember and carrion call). The twisted image was nuts though, blew out affinity and pod in multiple games. Well if you read his article, It chumps, sacs to lili, blocks dark confidant (maybe survives with pendlehaven), and can sometimes kill someone. He's main decking corruptors because affinity and pod that did well at GP Richmond. I played about 8 matches with infect, and dryad arbor did win me one game with damage since I had a wild defiance out. This is my first time playing infect, so i'm not sure whether apostle's blessing is something I want. I was fine without it, but i could see cutting a pact of negation for a blessing. no room for MoOK, and Groundswell gives the +4/+4 just as easily. ive pulled off a few turn 2 wins after landfalling swell and casting strobe. i love being able to dig for almost anything with ancient stirrings. one of my favorite targets is teetering peeks to give the +2 and activating landfall for groundswell, peeks are also a good target if my hand happens to be light on gas period.